Invoice is an official document that send by a seller to buyer to indicate the products or services, quantities and the agreed pricing for products or services and the seller will need to pay the buyer according to the payment terms and payment type. Invoice is not only as a billing document but it's also represent the company in terms of professionalism. 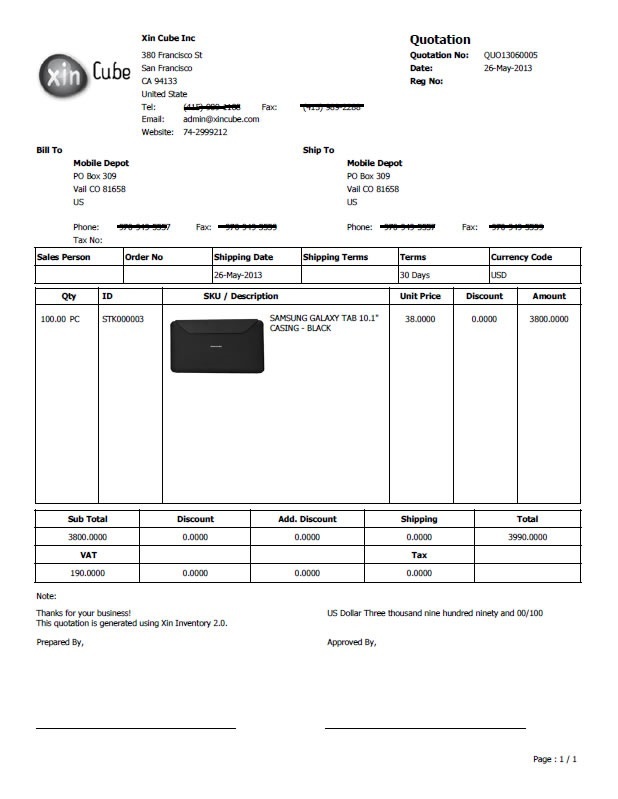 A proper or professional invoice template will helps to build a good company image. Xin Inventory come with 14 professional invoice template to suit user needs. 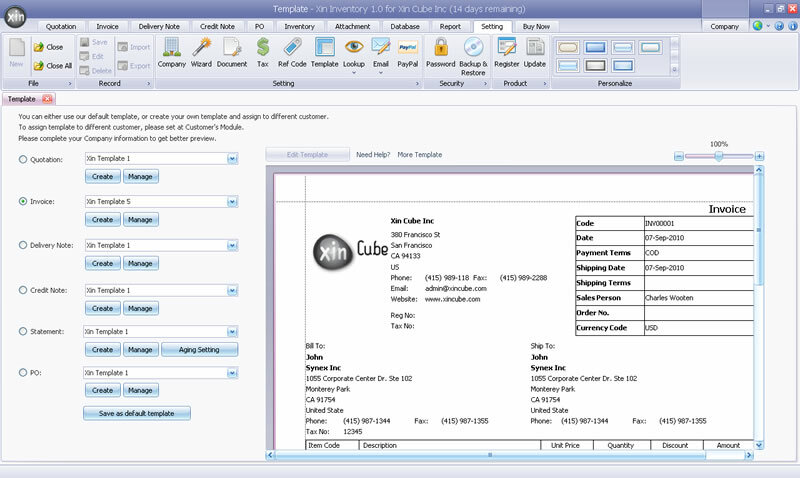 If user need to have special layout invoice, user can use template editor to edit the invoice template. If user think that it's difficult for them to use the editor, user can contact Xin Cube support personnel to request template customization service. The customization service will charge a small amount depend on the complexity of the template.